Chanya has been working as a Registered Massage Therapist (RMT) in Edmonton since 2015. She earned her certification at Turner Institute of Orthopedic Massage, Calgary, Alberta. 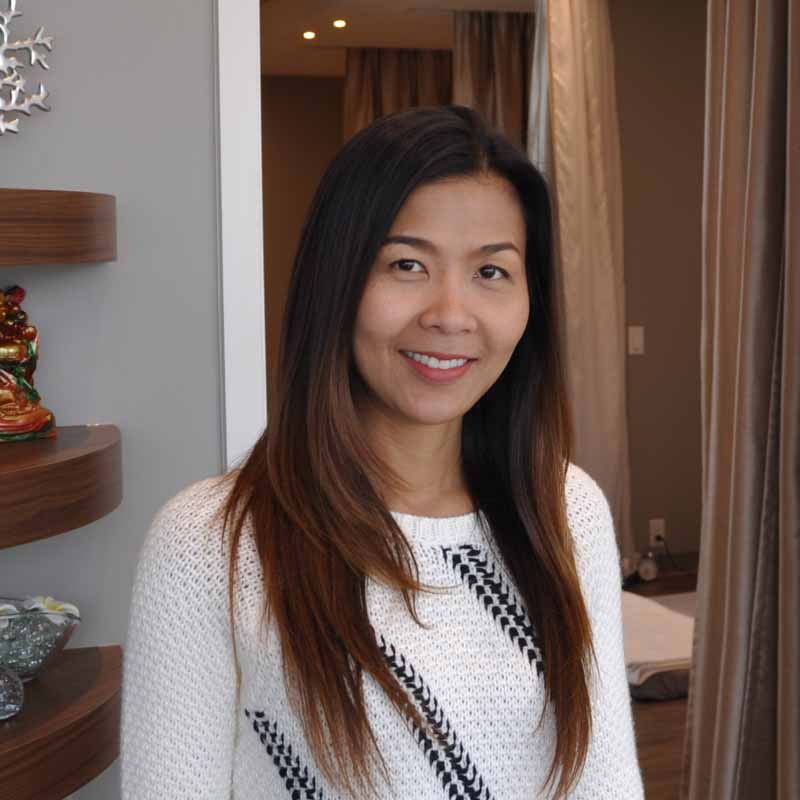 Chanya started her career as a massage therapist in 2005 after graduating from The Union of Thai Traditional Medicine Society in Bangkok, Thailand. She worked in Thailand’s Kasemrad Hospital’s traditional medicine department for the first five years of her massage career where she used traditional massage techniques as an alternative to medicine, after which Chanya worked as a massage therapist in Shanghai (China) and Johannesburg (South Africa) expanding her experience further before coming to Canada. Chanya specializes in Thai massage (acupressure), Thai herbal hot compress, deep tissue, relaxation, reflexology, therapeutic, prenatal, and craniosacral therapy CST (head-neck-shoulder) massage. 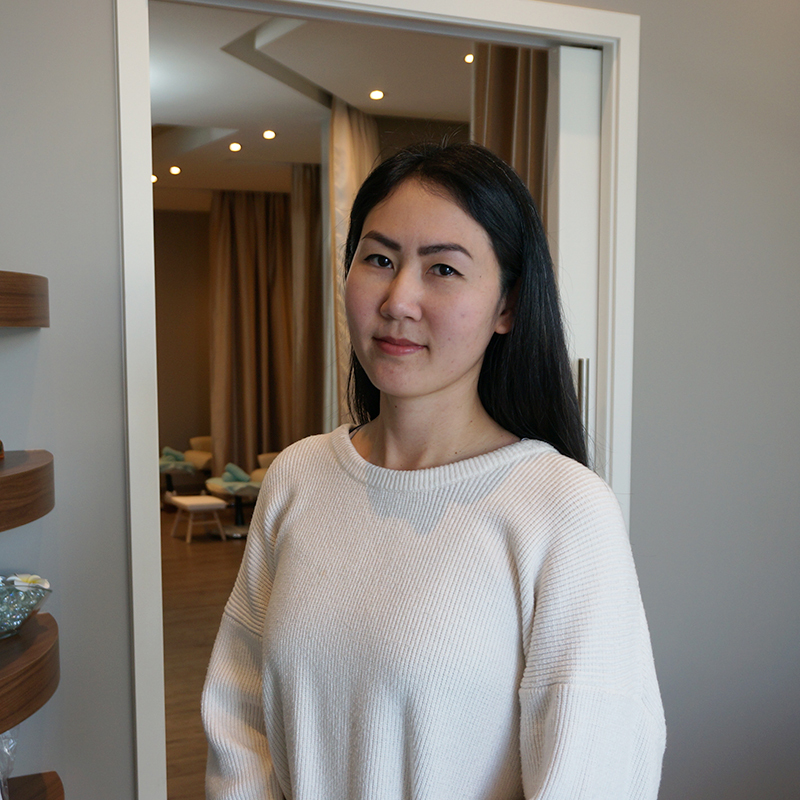 Wanita is a Registered Massage Therapist (RMT) and has been working in Edmonton since 2015 after graduating Turner Institute of Orthopedic Massage and Manual Osteopathy in Canada with 2200 hours. She studied Thai massage at Wat Pho, Thailand and refreshed her Thai Techniques under Chanya which has complimented her studies to be a more rounded massage therapist. Wanita offers very well rounded treatments with her experience in western massage techniques combined with her knowledge in Thai massage. She specializes in Deep Tissue, Thai Massage, post-MVA therapy, Sports and injury recovery among many more. Arunlak is proud to call Alberta home after moving here from Thailand to start a family. She finished her 2200 hours RMT certification from the Wholistic Health Institute, Edmonton, Canada. She specializes in the Swedish Relaxation Massage, Deep Tissue and incorporates Thai Massage techniques to offer a comprehensive treatment. Arunlak is also well adept in Craniosacral Massage, Prenatal Massage, Trigger Point Massage, Sport Massage and Aromatherapy. Miranda earned her 2200 hr certification at MH Vicars school of Massage Therapy, Edmonton. She applies her skills in Deep Tissue, Relaxation and Orthopedic massage to give her clients a wonderful destressed and relaxed feeling after their treatment. 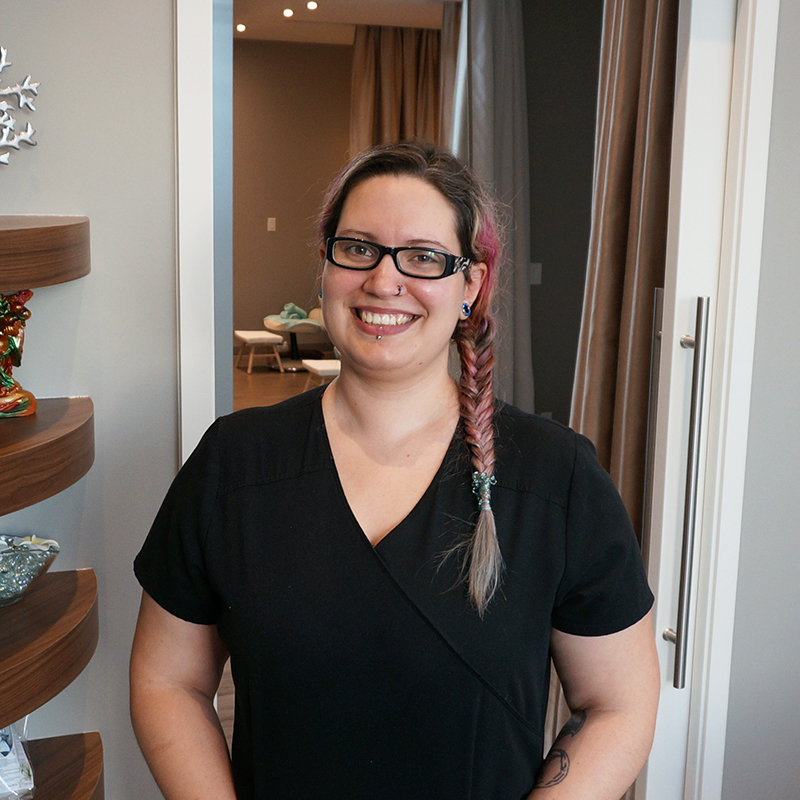 Priscilla has been working as a Registered Massage Therapist (RMT) in Edmonton since 2014. She earned her 3000 hours RMT certification from Makami College. She integrates modalities to create a complete treatment solution suited to your individual needs. She specializes in Swedish, Deep Tissue, Trigger Point, myofascial and connective tissue release. She is passionate about helping others create a healthy balanced life.